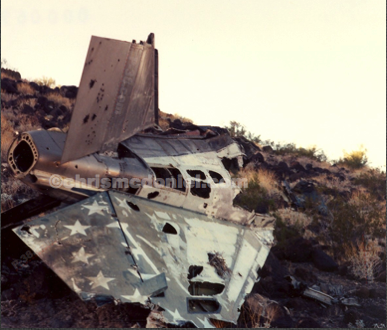 F-4 Bureau Number 153098, crash on October 22, 1975. Two occupants were onboard the Phantom. Robert M. Bach was killed in the crash. Captain Anderson successfully bailed out. The two crash photos were taken in the early 1990’s. Present day update, apparently the horizontal stabilizers were removed and remaining debris repainted to match the desert. Below is video I shot at the crash site in 1992. Two different views of debris at the site in 1992. 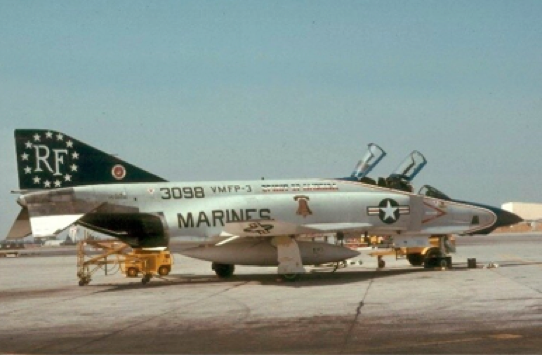 At the time of the crash, the RF-4 had a bicentennial paint theme. Just to note, a few bicentenial RF-4s from VMFP-3 were featured in Hasegawa and Fujimi 1/72 model kits. If you do an Internet search, you might still come across some kits for sale and see the various colofrul bicentennial paint schemes. 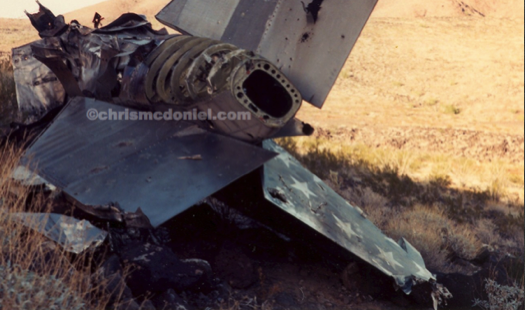 Here's some of the video I shot at the crash site in 1992. I'm not the best videographer. In addiiton, when I shot this video, I never thought I'd be posting it on something called the Internet for all to access.